In my previous blog post on the use of drones for human rights, I also advocated for the use of drones to support nonviolent civil resistance efforts. Obviously, like the use of any technology in such contexts, doing so presents both new opportunities and obvious dangers. In this blog post, I consider the use of DIY drones in the context of civil resistance, both vis-a-vis theory and practice. While I’ve read the civil resistance literature rather widely for my dissertation, I decided to get input from two of the world’s leading experts on the topic. As this New York Times article notes, the cost of drones is dropping dramatically and their applications multiplying. Even Professor Francis Fukuyama is getting in on the action. While drones were once exclusively the purview of the military, they are quickly becoming mainstream and being used by civilians. Indeed, the line dividing remote control toy planes and drones is starting to blur. Keep in mind that satellite imagery had a strong military connotation before Google Earth entered the scene a few years ago. Indeed, greater civilian access to satellite imagery has demystified this erstwhile exclusively military technology. 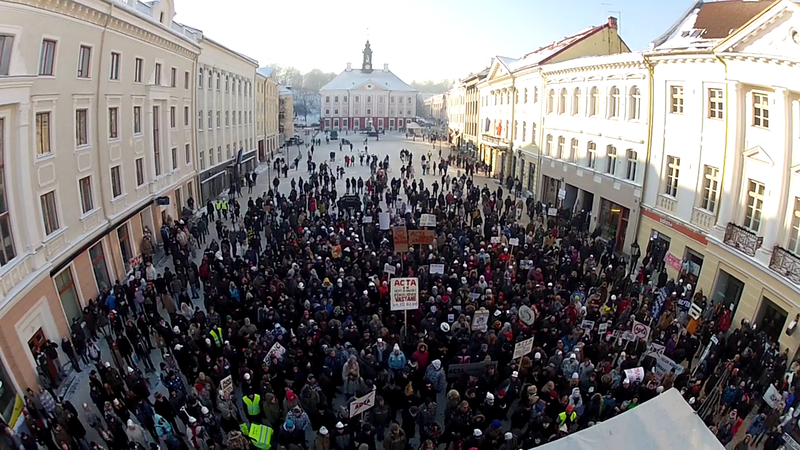 A few weeks ago, a civilian used a simple Hexa Arducopter to film protests in Estonia. Around the same time, protestors in Warsaw used a small Polish RoboKopter equipped with a videocamera to get this drone’s eye view of police movement. Last year, a Hexacopter was used to film Russian protests, as repor-ted by CNN below. Indeed, an arial view could capture a different perspective than state-television cameras might, and thus reveal an illegitimate act on behalf of the regime that is also not captured by cell phone cameras. To this end, an illegitimate act carried out by a repressive regime could backfire if caught on drone cameras and subsequently shared via Twitter, Flickr and/or YouTube. As Sharp writes, too much brutality may result in political jiu-jitsu where the opposition group is able to increase their unity and support while politically throwing the ruler off balance and weakening his/her regime. I’ve blogged about Gene Sharp’s work several times on iRevolution, so I won’t expand on his bio here. In 1973, he published a book on nonviolent action in which he describes 198 tactics that civil resistance can employ in their campaign. I briefly reviewed these again within the context of DIY drones and have added some relevant ones below together with an explanation. 12. 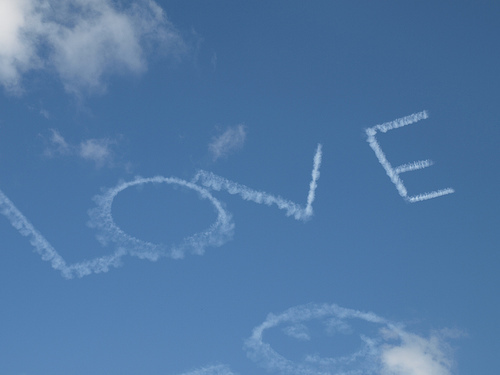 Skywriting and earthwriting: while drones are typically used for sur-veillance, they could be used for skywriting (or sky-graffiti). They could also be used to take pictures or videos of earthwriting. 18. Displays of flags and symbolic colors: just like the above, drones could also be used to fly small flags and banners, which could further spread the message of the movement. This could be safer than other methods. 31. “Haunting” officials: drones could be used to try and follow specific officials or groups of officials, especially as they are moving through the city center. They could also be used to follow military vehicles. These drones could also take pictures of said officials and military equipment, which could be used to further haunt said officials. 32. Taunting officials: in this case, drones could be used to buzz officials up close and personal. Of course, this would make it easier for the drone to get shot down. Perhaps if protestors used a fleet of DIY drones, there would be strength in numbers, creating an annoying wasp effect. For those drones that can carry some payload, leaflet could be dropped from said drones. If the pilots are particularly adept, they could also drop paint or even, well, urine. 161. Nonviolent harassment: basically same as points 31 & 32. Perhaps drones could be used to harass officials trying to give speeches. If some DIY drones are capable of carrying small but particularly loud speakers, they could be used to play music, or play back political speeches in which officials were clearly lying. 169. Nonviolent air raids: the tactics described above qualify as nonviolent air raids. Perhaps a drone could carry some firecrackers and buzz an airbase. Of course, this would likely provoke return fire with live ammunition. 184. Defiance of blockades: buzzing of blockades would demonstrate that while they can block people and cars, they care not impermeable. Those drones capable of carrying payloads could also be used to transport small packages across blockades. 194. Disclosing identities of secret agents: this is certainly more challenging and would require additional reconnaissance and intelligence information. But suspected secret agents could potentially be followed via small, DIY drones, particularly the hexacopter variety. “At the end of the day,” according to the first expert I consulted, “a drone is a tool, and the strategic advantage it may provide will also depend on the funda-mental unity, planning, and discipline that a movement has or does not have. For example, if a movement is lacking a fundamentally good and unifying message, no amount of technology will substitute for that, and thus the strategic value of that technology is diminished in the context of that movement. On the other hand if a movement has a good and unifying message and levers technology to reinforce that message, then the technology can act as a multiplier and provide substantially more strategic value. This entry was posted in Digital Activism, Drones/UAVs, Humanitarian Technologies and tagged action, civil, drone, gene, nonviolent, Resistance, sharp, UAV. Bookmark the permalink. if not enlightening, maybe you’ll at least find it amusing. onward. Nobody disagrees that drones may deliver information, which per se may be helpful. But I am still missing an outlook at the potential harm the use of drones can have for the movement at hand. As I explained here, ( http://irevolution.net/2012/02/10/drones-for-human-rights/#comment-11748 ) backfire /jiu jitsu will only work under certain circumstances and the information (image) itself is just one factor and drones are likely to counteract on the others. I personally liked tactics 12 & 18 (and have seen 18 done with normal plane models) I can imagine 31 (haunting) & 194 (disclosing agents). But I would be very careful with anything involving close up movements or even air raids. Having a drone fly close feels to me like bringing a toy-gun to a demonstration. Non-lethal is not automatically non-violent. Its not a far stretch of the imagination to use a drone as a small scale weapon of terror. Cheap, easy to use, limited but useful range. Able to be piloted into target using on board cameras. A skilled operator could fly one into a cafe and cause havoc. Payload is low but a cameras weight worth of explosive could still cause enough damage to kill and maim. Certainly to create mahem. They would be exceedingly difficult to spot, determine their level of risk and stop before their intended use was realised. The V1 was a pilotless drone in use over 70 years ago http://www.zenza.se/vw/ . Todays iterations are a bit more sophisticated but the result would be similar.